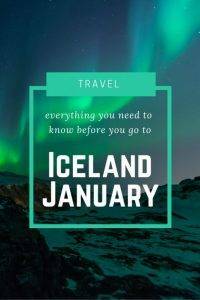 Visiting Iceland in January may not be the prime time to visit but with cheap flights and a little pre-planning your trip to Iceland will be an amazing one. The first time I visited Iceland was in early January on cheap flights for $99. Was it cold? Yes, but nothing I couldn’t handle. One of the advantages of visiting Iceland in January is seeing the beautiful landscape covered in a blanket of snow with fewer tourists. Iceland is a rugged, mountainous place with beautiful coastlines and tourism has increased dramatically over the last few years. One of the main reasons for the increased tourism is the diverse range of things to do and see, from a road trip to see natural wonders, wildlife, cosmopolitan cities, and numerous wonders. Visiting Iceland in January is no different. 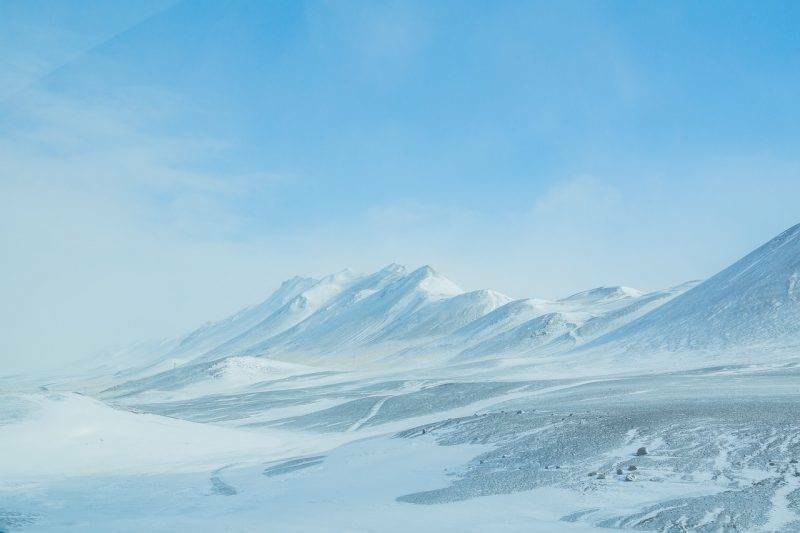 In January you can experience many unique things that are different or nonexistent at other times for the year, due to the weather or snow formation. This time of the year there is only 4-5 hours of daylight each day, with the sun setting early and rising late. The average temperature in Iceland in January is between -1 to 1c, but can range from -10c to 5c, on extra warm or cold days. How cold is Iceland? Does it snow in Iceland? What is the weather in Iceland? 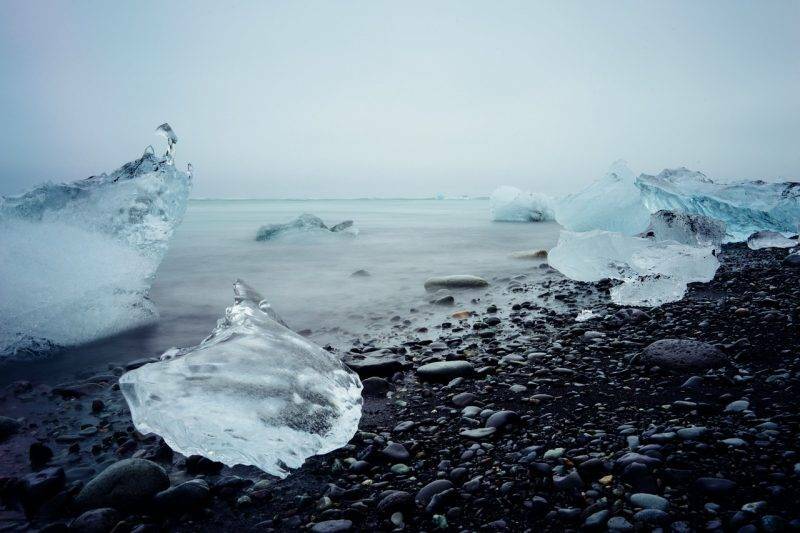 The Iceland winter temperature is cold but the average temperature in January is around 1 degree Celsius or 32 degrees Fahrenheit. While this is cold, if you dress in layers you should be fine. It just depends how much time you will be spending outside at one time. Remember to bring a hat, gloves scarf and winter jacket. Iceland is one of the best places in the world to see the Northern lights or aurora borealis as it is sometimes otherwise referred to as. Iceland’s location on the southern edge of the Arctic Circle allows for the northern lights to be seen almost every night (cloud and full moon dependent). January is one of the best times to see the northern lights due to the increased hours of darkness during the winter solace. Around the full moon, the northern lights aren’t seen as well due to the increased light in the sky from the full moon. 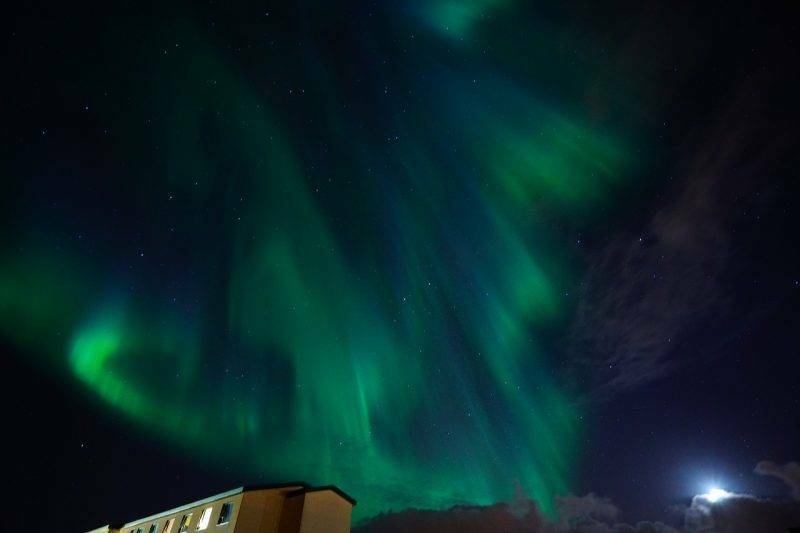 The best places in Iceland to see the northern lights in January are in the Thingvellir National Park, Hella-hotel Ranga, Jokvlsarlon glacial lagoon, Skogar, and Snaefellsres Peninsula at the Budir hotel guest house in Hof. Vatnajökull is one of the biggest glaciers in Europe by volume and covers an area of 8,100 square kilometers. Water goes underneath the glacier through the canals and forms caves. During the summer the caves are formed and filled with water, from the rain. When the weather changes from summer to fall the water begins to drain from the caves, the caves strengthen and turn into ice. From November to March these caves are present and each year the caves form differently depending on the weather conditions. In some areas, the caves and ice reach a thickness of 1,000 meters. To visit the caves you must be accompanied by a guide who knows which caves are safe to explore and the safety precautions required to be taken. It is best to prebook a tour to ensure you don’t miss out. Iceland’s Golden Circle is a driving route in the southern part of the island, and it is a great day trip from Reykjavik. The route is 237 km long and covers dynamic and beautiful landscapes, including Gullfoss waterfall, Geycir Geothermal Field, and the Thinguellir National Park. In January this road trip offers a snow filled road trip, with winter wonderland sites to explore. Although be warned a number of these locations may not be accessible if snow conditions are bad and snow chains are advised. More details on the different routes and site along the drive can be found in my previous article Golden Circle Iceland . Horse riding in Iceland during winter is different compared to horse riding in summer. 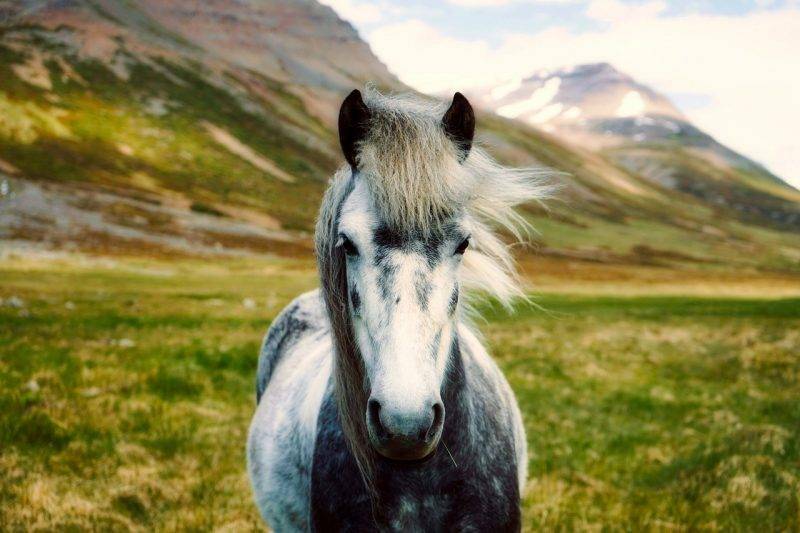 In Iceland, the Icelandic horses have grown to adapt to the harsh weather conditions and cold environment. During the winter months, the horses retain weight and grow a thicker coat to protect them from the wet and cold weather. In January you can wrap up warm and enjoy a horse ride through the beautiful snow-covered Icelandic countryside and enjoy being outside with these wonderful creatures. Snorkeling or diving in Silfra Fissure in winter is a unique experience if you can already dive it is a great way to explore, if not you can still get a feel for the water and area by snorkeling. Silfra Fissure is one of the most unique diving and bodies of water in the world. 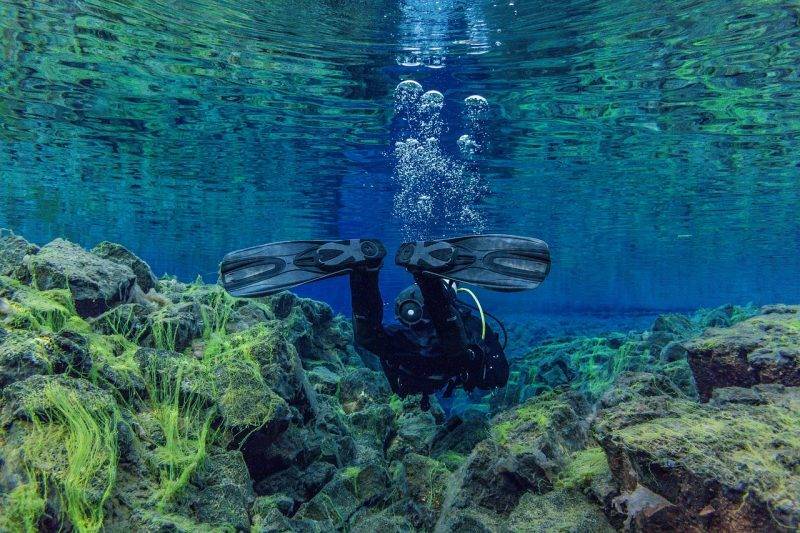 It is located across both the North American and Eurasian tectonic plates, this is the only area where you can dive, swim or snorkel anywhere like this. Silfra Fissure has the clearest and purest water in the world, with visibility of up to 120 m, giving you ample things to see and explore including rock formations, and caves. Diving or snorkeling in winter requires a drysuit to be worn as the water is 2c, no matter if you are venturing into the water in summer or winter. Winter is often considered one of the best time to dive or snorkel as the water is often warmer than the air temperature outside and in the summer being warm inside a drysuit can become uncomfortable very quickly. Iceland may not be well known for its cuisine but it should be. Around the country there is an abundance of restaurants and even food tours which you can take to discover the best of this cuisine. This is a great January plan when it is cold outside and you can warm up with a nice hot meal and drinks. Friðheimar is a great place to sample soups, refreshing drinks, desserts, along with other typical dishes. Another unique restaurant to eat at is The Pearl , which is a revolving restaurant with incredible views of Reykjavik. 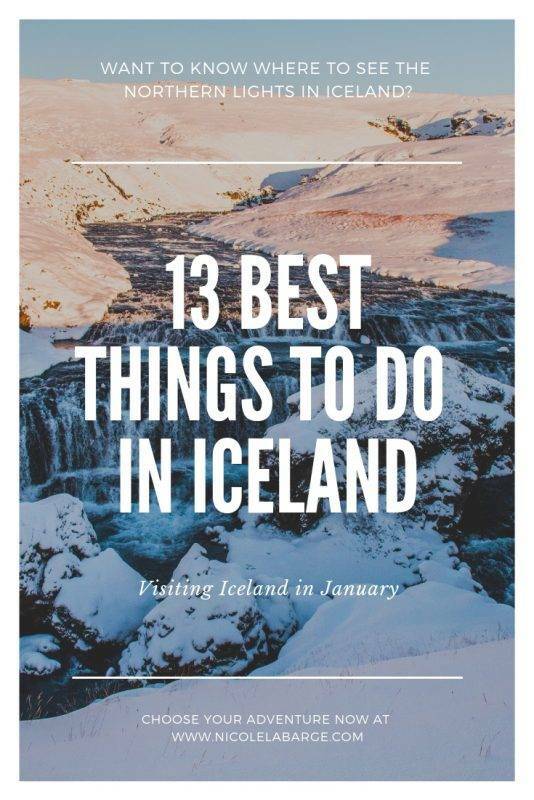 Alternatively, if you want to take discover more of the countries cuisine, you can join a half day tour which is a 4 hour walking tour with 13 dishes to sample, along with information on Icelandic food, and much more. Iceland has an abundance of geothermal energy, located all over the island, which has created a large number of hot springs. The most famous being the Blue Lagoon, but there are lots more, many are only known by a small number of people. 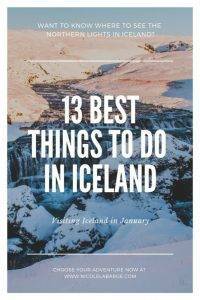 Some of the other popular ones include The Secret Lagoon and Reykjadalut geo baths in Mývatn on the north of Iceland, Hverfjall volcano, Hverir mud baths, and Námafjall. Some of these you can bathe in but others are just interesting to experience and look at. 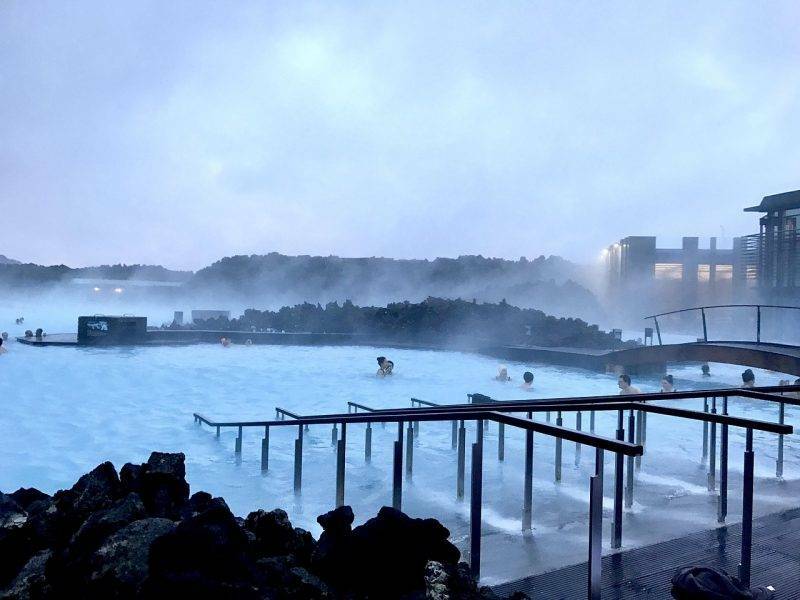 The Blue Lagoon might be one of the most famous geothermal spas in the world, with large numbers of visitors getting in the waters each year. The Blue Lagoon is a magical place in wintertime with the geothermal spas being a large contrast to the surrounding snow and cold weather. While the outside temperature is cold the water temperature hot. 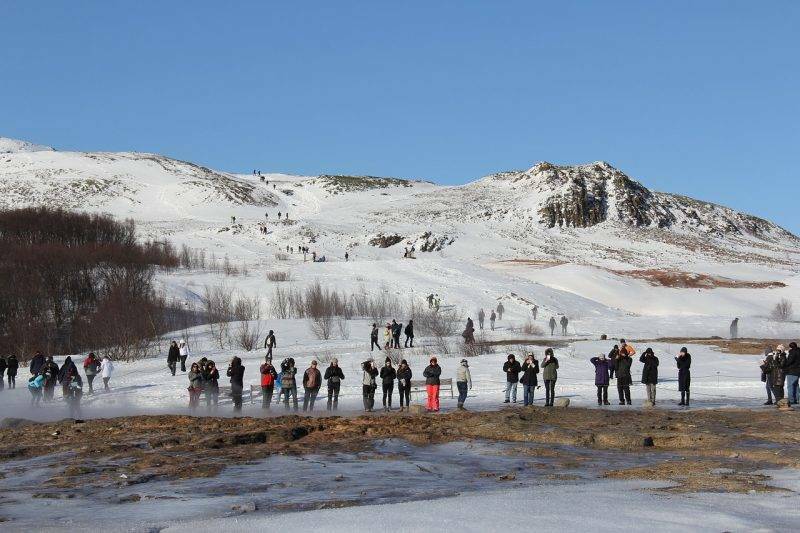 Despite the limited hours of daylight in January the Blue Lagoon is open daily for visitors. The Blue Lagoon has become so popular that you now have to book online in advance to visit, you can no longer just arrive and go in. 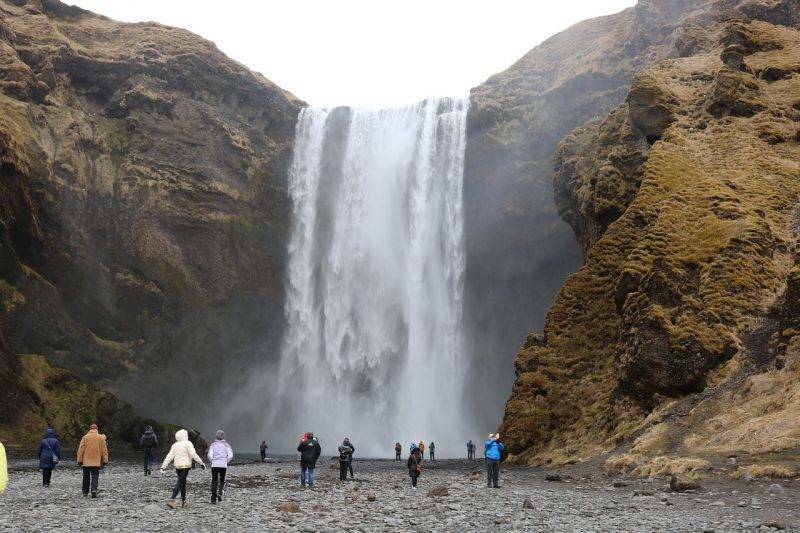 Skogafoss is Iceland’s largest waterfall reaching 60 m tall and 25 m wide. A slight detour off Route 1 will place you in a carpark where you can see the falls and for those who want to get a better view you can climb the steps to the left side of the falls a climb to the top. In January the waterfall is surrounded by snow and is less crowded than in the high season. In the winter if you decide to stay at the waterfall past sunset you may be able to witness the Northern lights above the waterfall. The Harpa Center is one of Reykjavik’s most recognizable landmarks, with a unique display of architectural brilliance. The Harpa Center is a central culture and social center within the country and city. Opened in 2011 the center has held a variety of music concerts, events, conferences, and music festivals which include the following; Iceland Airwaves, Reykjavik Midsummer Music, Dark Music Days, Reykjavik Arts Festival, Reykjavik Jazz Festival, Sónar Reykjavík, Tectonics and Harpa International Music Academy. Throughout January the center holds numerous events and concerts to be a part of. Throughout the weekends and weekdays, you can catch a variety of performances and events. Many people dream of sleeping under the stars or with the northern lights above you. If this is your reality the Bubble hotel is the perfect accommodation choice for you. The Bubble hotel is a small selection of inflatable structures, located within a spread out area of the countryside. These bubble sleep two adults in a double bed, with a small number of amenities including often a small heater. The Bubble hotel is a great overnight accommodation option outside of Reykjavik, at one with nature and offer a one of a kind experience. A hotel with a 5 million star review. The Reykjavik Hop on Hop Off Bus Tour is a great way to experience the city in the winter time with 16 stops around the city to get on and off. During the winter is it a great way to see the city without walking in the cold weather. You can visit the major sites in the city such as the Harpa Center, the Hallgrímskirkja, the Perlan, and many other sites in the city. You can pick and choose which stops you want to get off the bus for and which you want to skip. You could also go for a walk around Reykjavik and check out the Amazing street art of Reykjavik. 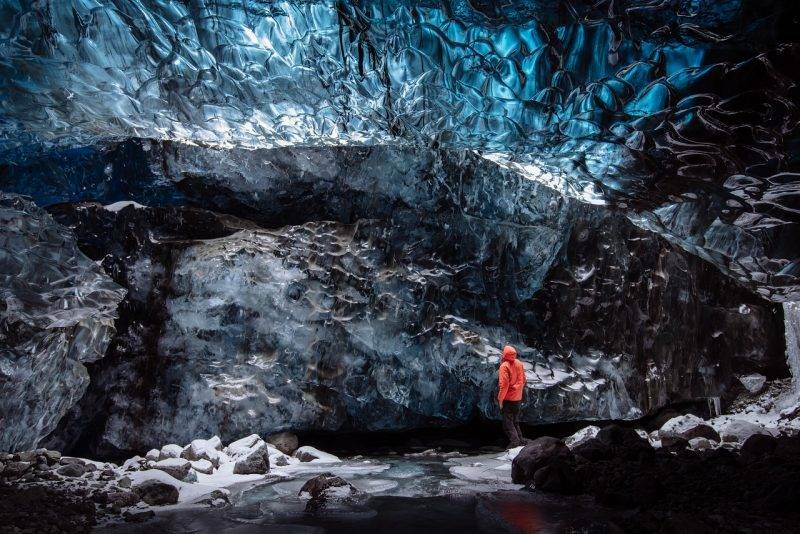 Glaciers cover 11% of Iceland’s total land area, making it a paradise for trekking, climbing and ice caving. Glacier treks in Iceland can vary from 3-3.5hours long to 9-hour adventures. Glacier treks are classified from easy walking tours to challenging treks with ice climbing involved. The best places to go glacier trekking in Iceland are Falljökull, Svinafellsjokull, Mýrdalsjökull, and Vatnajökull. 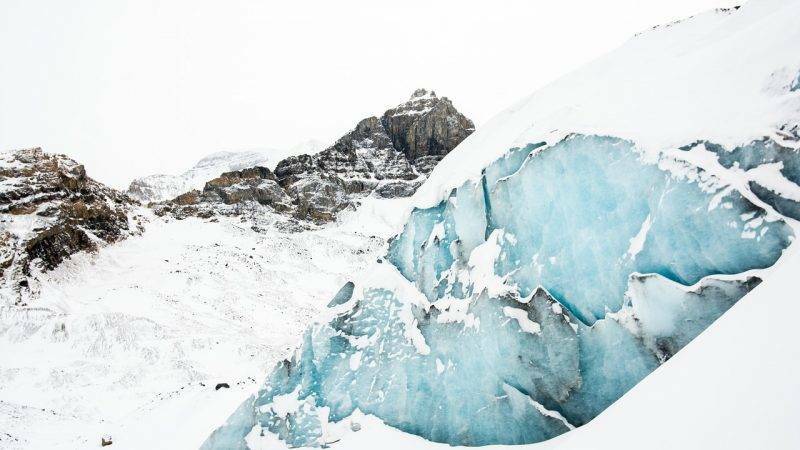 To go glacier trekking in Iceland you are required to go with a guide who knows the area well, and how to avoid dangers such as crevasses, collapses of bridges or areas, or just changes in the weather or environment. Visiting Iceland is a one of a kind adventure with lost of places to discover and a true winter wonderland to explore. This time of the year offers you great opportunities to see the northern lights as well as glacier trek and visiting the snow caves. The Iceland January weather will be cold but as long as you are prepared you will enjoy it. January is the perfect time to visit and explore what Iceland has to offer, with something wonderful and unique for everyone to enjoy and experience. If Iceland in January is not your thing, why not try going to Iceland in June and chase the midnight sun? 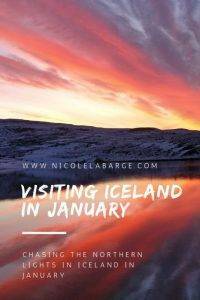 Or read more about travelling in Iceland in a campervan. Sharing is caring. Save the pin for later! We have debated visiting Iceland in the summer or winter. We are going this year in the summer. But your post has convinced me that we need to return in the winter too. The Northern Lights are definitely the big draw. Seeing the ice caves certainly would be a unique winter sight. I am not sure I would really snorkel or scuba dive in the winter. But the hot springs would be perfect. I’ve always shied away from visiting Iceland in the winter because of the cold, but boy does it look lovely. I might need to change my mind. I’ve always wanted to see the northern lights after all. I’ve never heard of the Silfra Fissure before, it sounds fantastic! Is it easy to rent a drysuit? It doesn’t sound as cold as I’d feared. I can imagine lots of reasons to visit in the winter. The northern lights and waterfalls, diving the rift and dipping into hot springs would be all the more wonderful then – and at a savings! So great to know visiting Iceland in January is a great option. I would rather travel someplace when there aren’t loads of other tourists. I saw a lot of things on your list I would love to do. The Bubble Hotel sounds like a must stay place for sure. Plus, you can see the Northern Lights at the same time, so that’s a huge plus. Thanks for all of the great information! I loved my time in Iceland in June and would love to come back in the winter. I don’t know if I’d go snorkeling at Silfra in January but I’d love to see the Northern Lights. Northern lights over Skogafoss Waterfall sounds incredible. I had an opportunity to travel to Norway this winter and it was my first time seeing northern lights. All I can say is wow. They’re amazing. The bubble hotel sounds really neat too. People should shy away from winter centric travel. I was there last September and absolutely loved it. One thng I was really bummed out about though was missing out on the ice caves. (The tours weren’t running just yet back in September.) May just have to plan my next revisit for January and your photos are beautiful! They bring back fond memories for me! I loved checking out Iceland in the winter and seeing all the nature and waterfalls. But I had a whole week there and did not see the Northern Lights once. Typical. lol. Hoping to be back there soon but in the summer. Ah you tease! A year ago I decided the three places I’d like to tick off really badly are Iceland, Maldives and Sri Lanka. I’ve ticked off the Maldives and Sri Lanka, but Iceland is next. It just looks so scenic and picturesque! I am surprised to see that the average winter temperature in Iceland is only 32ºF. I thought it would be much colder than that. Iceland looks fantastic in winter and if I were to go I would probably choose that time too. I’d love to see the Northern Lights and visit the Ice Caves in Vatnajökull. Fantastic photos! I would never have thought to visit Iceland in January, I’m not a big fan of the cold. But after reading your guide, I’m more inclined to bundle up and face the adventure. I would love to see the northern lights someday, and who would have thought that all that extra darkness would be helpful? More darkness equals more chances to see the northern lights! I’ve never heard of Icelandic cuisine but now I’m intrigued! Thanks for sharing! I’m glad you feel there is still enough to do if you visit Iceland in the winter. I like the idea of going when the prices are cheaper and there are less tourists. But I’ve wondered if it would be disappointing to only have 4-5 hours of daylight each day. Like maybe you’re only getting half of a trip. And also, if you do the Golden Circle drive, are all the waterfalls frozen solid? I can NOT wait to visit Iceland one day. But visiting in January would be way to chilly for me. Although it would be worth it to see the Northern Lights. Iceland in winter would be my choice of season to visit too. Seeing the Northern Lights in Iceland would be an amazing thing to do and exploring an ice cave would be fun. Although, Iceland is such a stunning place you could go any time of the year and still be amazed. I guess there are both positive and negatives to visiting in January, the biggest drawback for me being the cold. I prefer and am used to warm temperatures since I live in a desert (Dubai) and I find it really hard to be in cold weather. Having said that, seeing the Northern Lights, or visiting the Hot Springs is bound to be the best part about going in winter. Also, the lesser crowds and cheaper prices. I plan to visit Iceland in October this year, can’t wait! Superb… as expected in Iceland. However, a winter trip in a place called “Iceland” does sound daunting. Nevertheless, those ice caves near the glaciers do look awesome. I can’t think of snorkeling in this cold but up for the hot water springs. Where to see Puffins in Iceland?